During the month of September we have our annual three day moose hunt. Dates for 2015 are September 24,25,26. 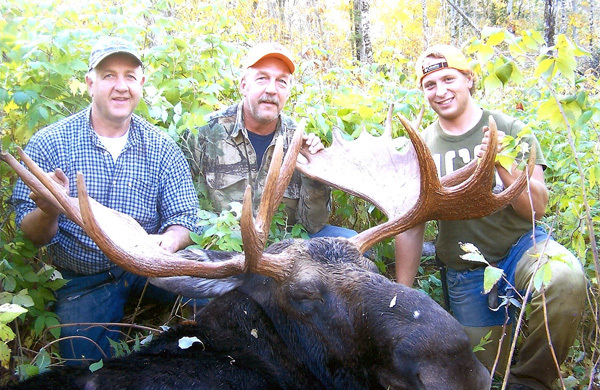 Our lodge is located in the heart of moose country so our success is 90 to 100%. 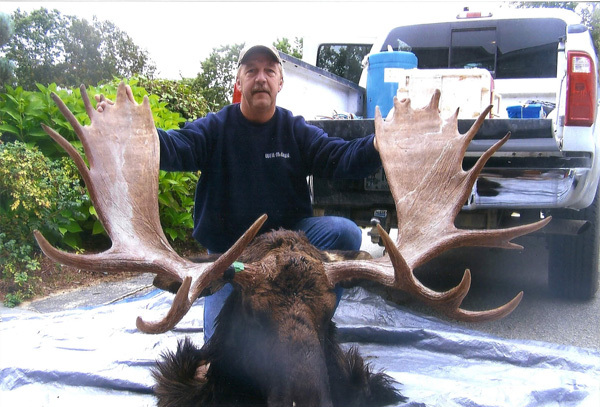 We have taken some very nice trophy bulls over the years. You can expect racks in the 36″ to a high 50″ range with body weights of 800lbs to over 1000 lbs. We hunt three zones for moose. Zone 13, 17, and 12. We scout clear cuts, beaver ponds, and along rivers and brooks. We find the best locations to set up and call as this season is during the rut. For a great hunt come and give us a try. You will not be disappointed. Perhaps you may also want to come a few days early and combine your hunt with salmon fishing on the famous Miramichi River. 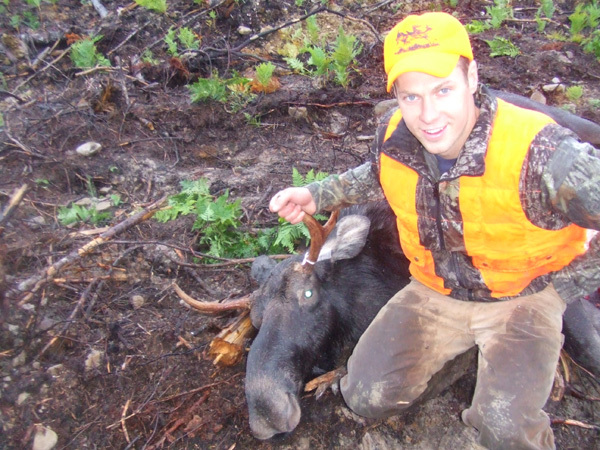 The hunt is conducted on a draw basis; to register for the draw for a non-resident moose license call 1-800-994-2666 or visit the Department of Natural Resources website between February 9 and April 30, 2015. 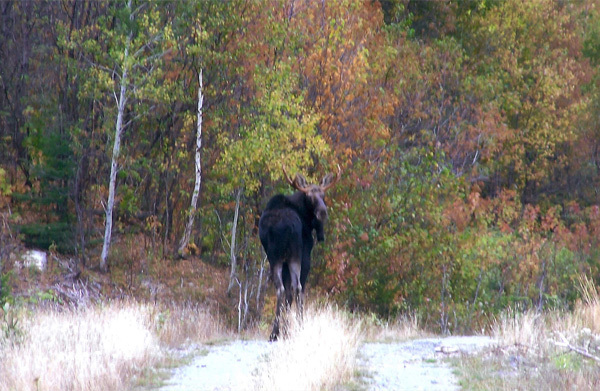 A non-resident moose draw fact sheet and entry form can be downloaded at http://www2.gnb.ca/content/dam/gnb/Departments/nr-rn/pdf/en/Wildlife/MooseNonResidentFactSheet.pdf ; or registration for the draw may be completed online at https://dnr-mrn.gnb.ca/DrawsIVR/DNR_Web/DrawApplicationEnterInfo.aspx?DrawID=3&Lang=en . They will need your date of birth and a Visa or Mastercard number and expiry date. The non-refundable cost for application is $39.95CDN. To find out if you were successful in the draw call 1-800-994-2666 from a touch-tone phone between May 19 and June 12, 2015. If drawn the cost of the license is $619.24, including HST. The license may be purchased by credit card at the same telephone number. All licenses not purchased by June 12, 2015 will be reallocated to other non-resident hunters on the waiting list. You can transport only one gun. Spring Bear Season Almost Here! 2016 Saw Record Bear Harvests! Fall Bear 2015: 100% Success!